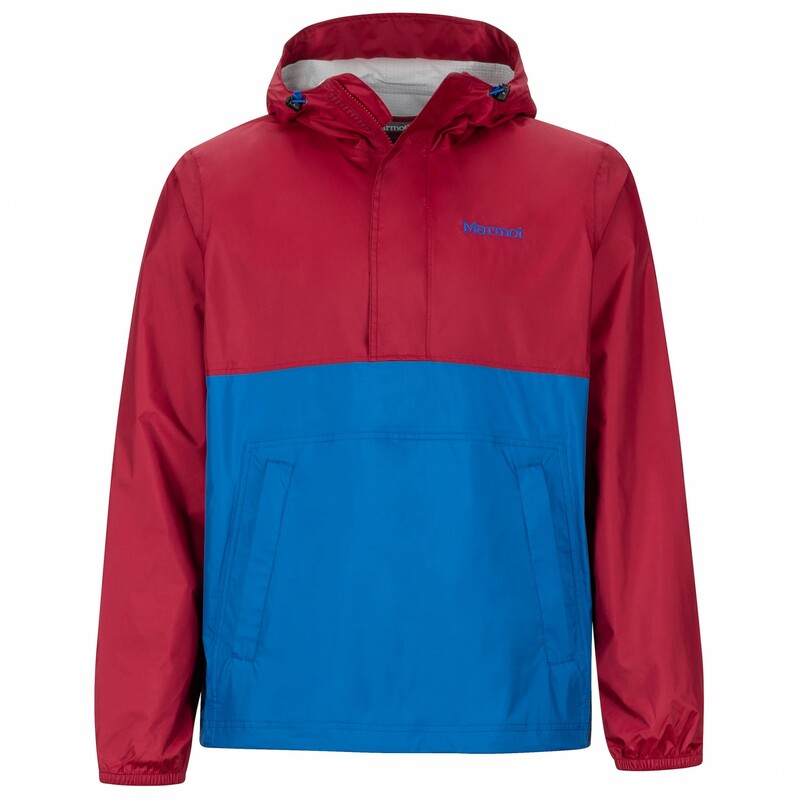 A versatile jacket for outdoor activities and everyday wear - the PreCip Anorak from Marmot is a functional waterproof jacket made of 2-layer NanoPro Ripstop. 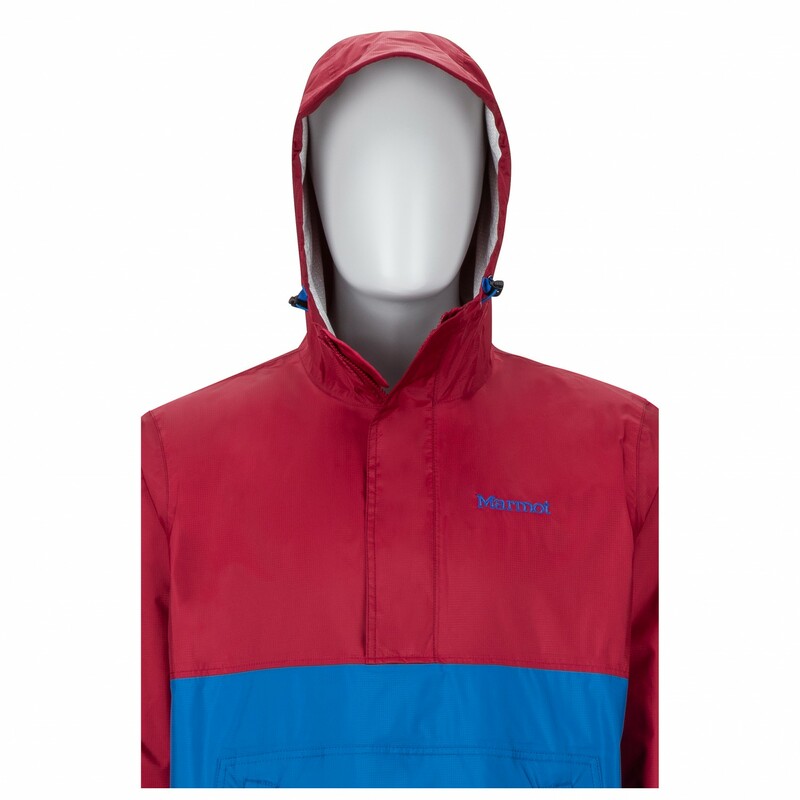 This windproof and waterproof fabric is particularly breathable and designed to keep your body warm. All seams are taped on the inside and thus sealed as well. The hood can be adjusted using draw cords to ensure that it doesn't get blown off in blustery winds. Plus, Marmot has also added a DriClime chin guard, so you won't have to worry about the zip irritating your skin. 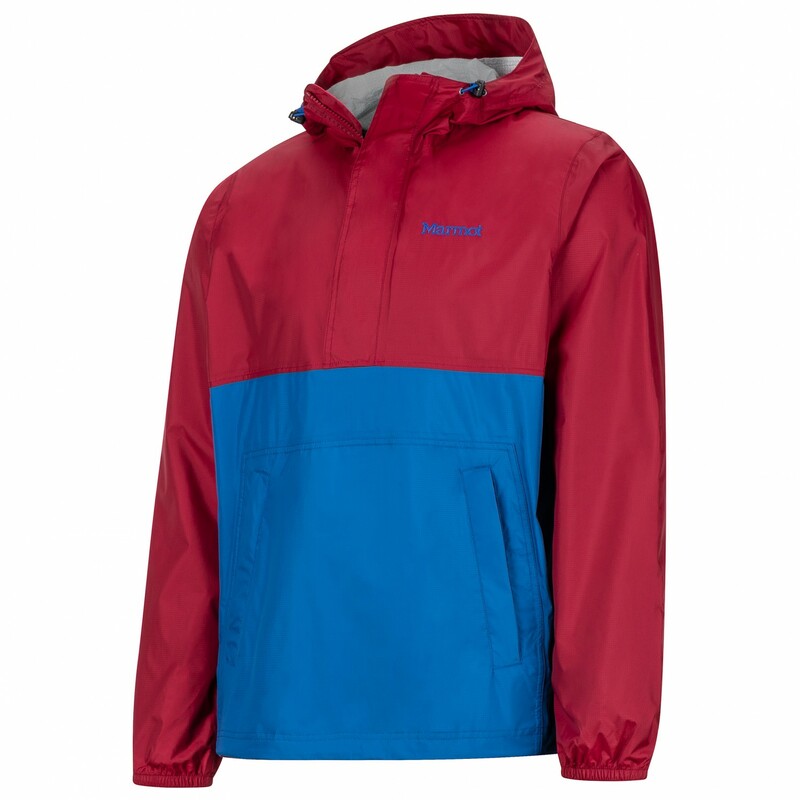 Another great thing about this jacket is its packability: it packs away into one of its pockets! The elastic binding on the sleeves and hem make for a snug fit and will seal out any wind. 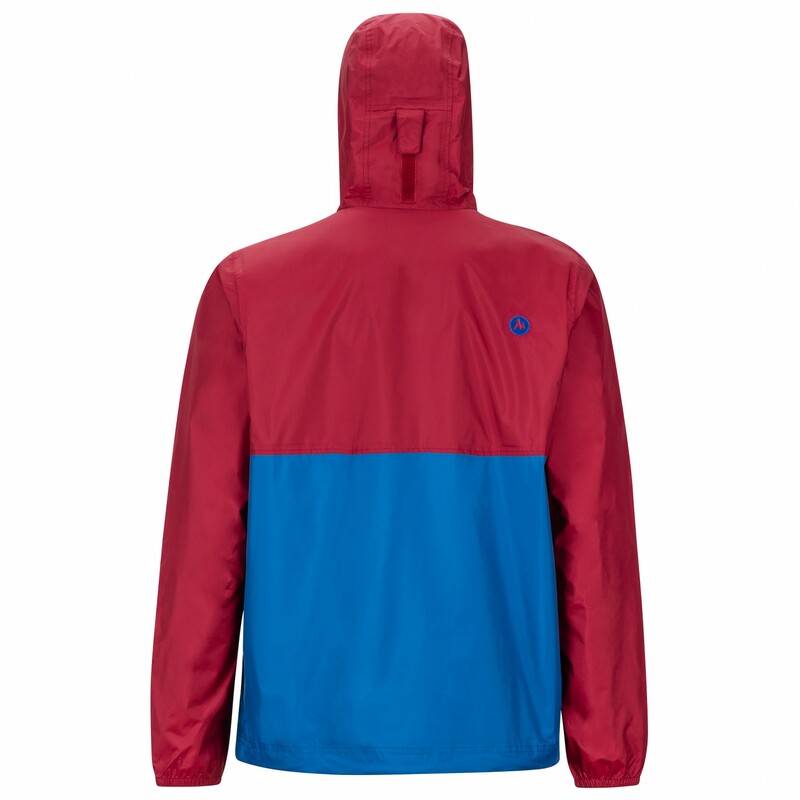 The Marmot PreCip Anorak!